Internet of things (IoT), Augmented Reality, and robotics are the key tools of technology that manufacturers have used to their advantage. The thought leaders of industry 4.0 have made it their mission to evolve with the passage of time and for that very reason, in 2018 they shifted their focus on mixed reality; an altered reality where everything is in fact ‘real’. You can literally change your surroundings and turn your coffee area into a conference room. 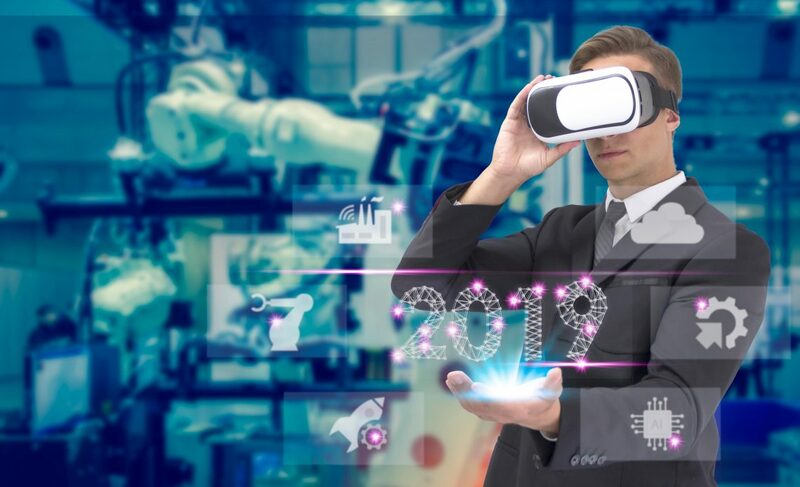 Here’s what manufacturers can expect from the constantly changing mixed reality in 2019. Beit automotive, appliances or bio-diesel production, large-scale manufacturers need an interactive environment wherethey can see ideas happening. With geometric assessment,you can see the ‘exact’ digital representation of your new project. The voicewill tell you everything you need to know, and thus, you can performmultitasking like a pro. With it’s over the top motion sensors, 3D head poseestimation, you can make things a whole lot easier. Asan employer, you obviously need fast-pacedinternal communique with your workers. Gone are the days of user manuals,because now, ‘interpretation’ will become the new cool. Without hiringprofessional trainers, you can demonstrate a new machine through 3D models,images, icons, and various animations. This will save time, cost, and increaseunderstanding. Every industry personnel knows that how much a flaw means to them. With the highest resolutions and sharper displays, you might be able to pick up pace ahead of time. You can point out a flaw and see possible solutions, or your digital self can give a workshop to a real audience. This way, repairing will not be as difficult as it used to be in the past. This will lead to higher accuracy when it comes to million-dollar innovations. Small to large businesses are adapting mixed reality with the hopes of making their day to day tasks easier. Surely this innovation will open new horizons and windows of opportunities that seemed limited in 2018. Mixed Reality Is The Digital Makeover Fashion Industry Need Right Now!